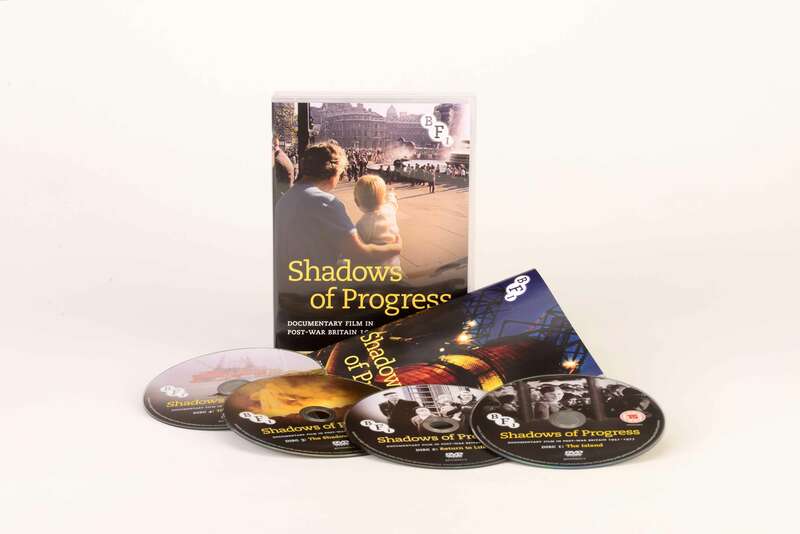 Landmark collection telling the previously untold story of British documentary filmmaking through the 1950s, 60s and 70s. 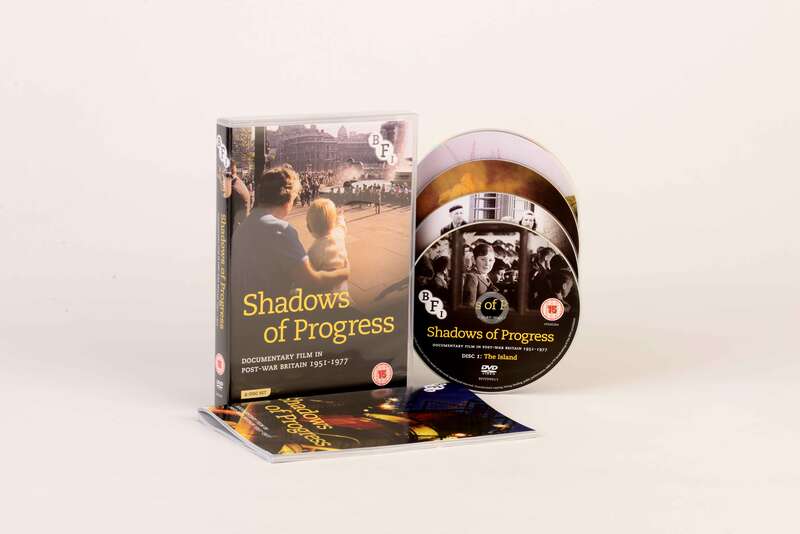 Shadows of Progress is a landmark collection, bringing together for the first time over 14 hours of film material preserved in the BFI National Archive, telling the previously untold story of British documentary filmmaking through the 1950s, 60s and 70s. As Britain emerged from the second world war, new social, political and ideological challenges brought about inevitable and far-reaching change. With change came a need to look at, and engage with, the country's people and places, values and industries in fresh and exciting ways. 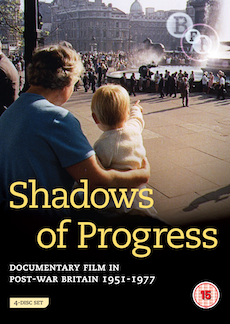 Out of the shadows cast by such celebrated documentarians as Humphrey Jennings and Paul Rotha (whose work is explored in Land of Promise), emerged the likes of John Krish, Eric Marquis and Derrick Knight, each of whom employed bold and distinctive new techniques in order to tackle an increasingly diverse array of subjects. Until now, the films and filmmakers in this collection have been unjustly overlooked and under-appreciated. 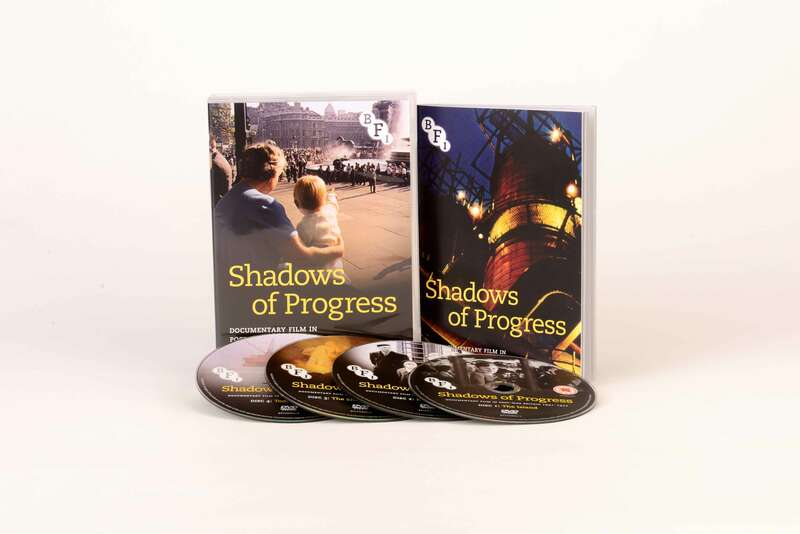 And yet the films presented here – commissioned by private industry, commercial sponsors, Government departments and independent charities – are every bit as inspired, ground-breaking and indispensable as anything produced by the Free Cinema or British Documentary movements. Perspectives on documentary filmmaking (2010).